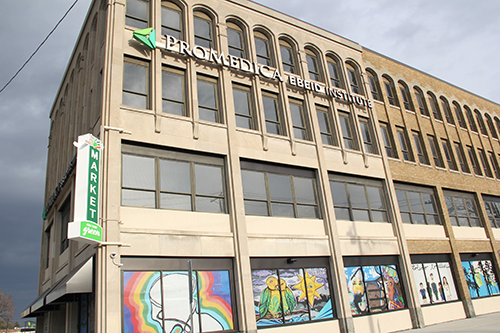 ProMedica revitalizes neighborhood with Market on the Green grocery store and Ebeid Institute community programs. Three years ago, ProMedica, a large healthcare system based in Toledo, Ohio, took a big step in improving wellness in local underserved communities. It opened the Ebeid Institute for Population Health and on the ground floor, and it set up Market on the Green, a non-profit grocery store. “Our research showed that this neighborhood, Uptown, was not only a food dessert. Its residents had poor health outcomes, high emergency room utilization readmissions, and recent chronic illnesses,” says Anthony Goodwin, director of ProMedica Ebeid Institute. In order to help revitalize the community, Ludwig says they buy local as much as they can. That means sourcing fresh produce from local farms and products like coffee and salsa from Toledo vendors, but it also extends to using local companies for the store’s bags, uniforms and point-of-sale system as well. What’s more, 100 percent of the store’s staff are participants in ProMedica’s Ebeid job training program. “We hire individuals that live within one mile of the store who have some sort of barrier to employment whether it's a criminal background or lack of work history or a GED,” says Goodwin. As part of the training program, they not only gain employable work skills, they are also paid to participate in Ebeid’s other community programs that are open to the public in the workspace on the floors above the grocery store. “We offer adult education courses towards a GED, professional development workshops and have a financial literacy center onsite,” says Goodwin. “With our Financial Opportunity Center, five financial coaches provide free one-on-one coaching on everything from budgeting to credit, home ownership, benefits and taxes. They can help connect people with SNAP dollars and utility assistance as well.” According to Goodwin, the coaches currently have 1,000 clients and 70 percent of them come back at least five times for more coaching. The goal is for the Market on the Green trainees to take 6 months to a year to develop their work skills and then move on to the next step in the job program. “We connect them with a position within another ProMedica department – nursing, dietary, security, whatever interests them – or with an external partner,” says Goodwin. One of the supplementary programs Market on the Green staff is paid to attend and is free to the public are nutrition classes. “We have a dietitian that runs the cooking classes and grocery store tours to help educate people on the benefits of cooking with fresh produce or reading a nutritional label,” says Goodwin, adding that hundreds have participated in the program since it began. The core class, Cooking Matters, is a six-week course taught by a chef and a dietitian in which all of the healthy recipes are focused on feeding a family of four for under $10. “We’re trying to break the stigma that it's too expensive to eat healthy and feed a family,” Goodwin. Each participant receives a book of 100 recipes at the end of the course. 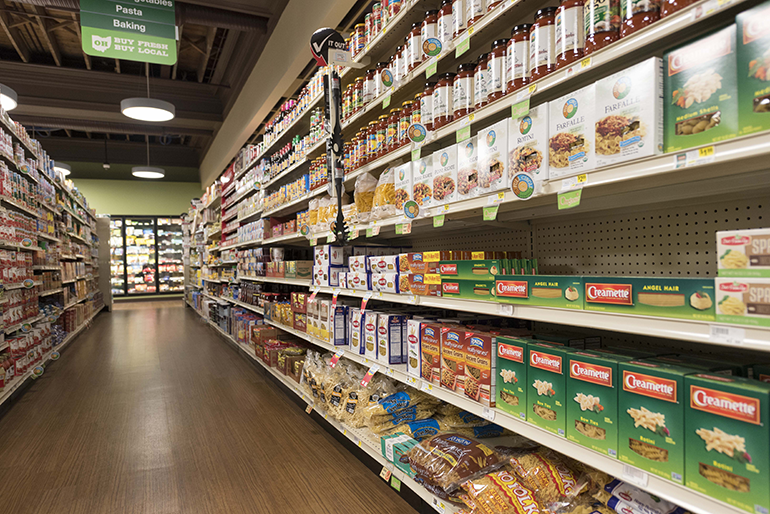 Providing access to healthy food, sending dollars to local business and increasing employment opportunities has been so successful in Uptown, ProMedica is taking Market on the Green programs into other ZIP codes. Last year, it launched Mobile Market, a 20-foot truck with coolers and grocery shelving that makes biweekly stops at 30 low-income and senior apartment centers in the outermost reaches of Toledo. It is also in the process of launching online ordering to provide curbside delivery to three ZIP codes with that border Uptown.